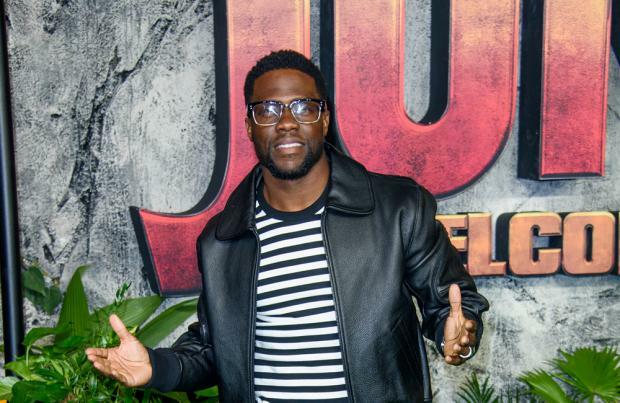 Kevin Hart thinks there should be more diverse movie casts as they show a "high level of unity"
Kevin Hart thinks having diverse movie casts show a "high level of unity". The 'Central Intelligence' star likes to see the widest range of people cast in individual movies as it encourages people to think about unity rather than division. He said: "I think you're looking at a different time, where diversity is welcome. In this world that we're living in today I think it's very important to show that we're one, there's a high level of unity, especially when you're looking at division, the attempt to divide." Meanwhile, Kevin previously confessed he wants to be a billionaire by the time he's 45. He said: "The goal of being a mogul is a real one. I want to be a billionaire ... I'm 38. By the time I'm 45, you guys are going to be telling a completely different story." And the actor and comedian previously insisted he doesn't believe in fame and claims the public unfairly "build" celebrities up only to "beat them down" again. He explained: "This s**t ain't real. It can be snatched from you. Look at how many stars they build up to beat down. Look at Britney Spears when she was the hottest thing ever. Then Britney went through a meltdown and everybody is like 'Well we don't know about this f***ing chick here.' Then she got back again and everybody was like, 'We love you Britney!' It was like 'What?!' You're f***ing all over the place, people. "It's not like your life changes because of the level of success that you have. At the end of the day people are people. If you come up to take a picture of me and I'm with my kids, I'm gonna politely tell you, 'Hey man, I appreciate your support, but I'm on daddy time right now.' As a person you should understand that." A performance filmed at a sold-out show at Madison Square Garden during the comedian's 2012 tour.